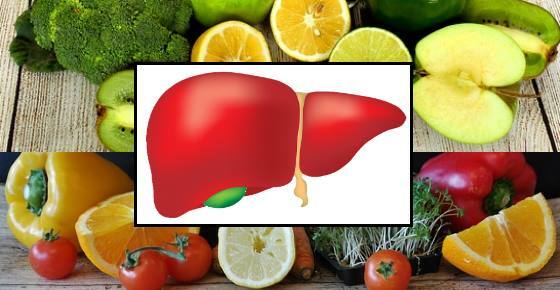 Foods that are good for your liver help to naturally increase detoxification enzymes that help to cleanse the liver. Liver healthy foods that have a cleansing effect include green tea, citrus fruits, garlic, green leafy vegetables, and nuts. To help improve your liver function, it is also important to consume healthy oils like extra virgin olive oil and omega-3 fatty acids. Consuming foods that have particular benefits for the liver can help to repair liver damage. These liver-friendly foods help to increase antioxidants in the liver which promote good liver health. As well as incorporating liver cleansing foods in your diet, you should also avoid certain foods that affect liver function. Some foods that are bad for your liver include alcohol, salt, too much processed sugar, and fatty foods. In this article, you will learn what scientific research says as to the best foods that are good for your liver. You will also find out how to improve liver function with a liver cleanse. There are many foods that help promote good liver health and assist in cleansing toxins from your system. A liver cleanse is another way of talking about liver-benefiting foods and drinks that help your liver to function properly. Foods that are included in a liver cleanse assist in boosting the number of detoxification enzymes in the liver. These compounds have a hepatoprotective effect; in other words, they promote good liver health, reduce inflammation in the liver, and help keep you healthy. For a natural liver cleanse to promote good liver health, you should incorporate foods that are good for your liver. All the foods that we eat affect our liver function in a positive or negative way. Let’s look in more detail at some of the best foods that help your liver and can increase levels of detoxification enzymes. Garlic is a natural liver detox food because it contains powerful antioxidants that protect the liver from oxidative stress. There are many other ways that garlic can improve your health in general due to its antibacterial and antifungal compounds. If you are using garlic for its health benefits, you should always crush garlic and leave it for 10 minutes to allow the powerful detoxifying agents to form. Broccoli can help improve liver function and is one of the many vegetables that are classed as a liver healthy food. Learn more about the many health benefits of broccoli and why you should eat more of this green vegetable. Beets. Red beetroot is another food that is good for a healthy liver. Scientific studies have shown that beetroot juice can raise antioxidant and detoxifying enzymes in your liver. Scientists reported that consuming beetroot juice can help protect the liver from damage. (9) Read more about beetroot health benefits in this article. Cruciferous vegetables can also help improve blood markers of liver health and increase antioxidant levels. We have already examined the liver-cleansing effect that broccoli has. What other leafy green vegetables help to increase levels of detoxification enzymes in the liver? Raw cabbage or sauerkraut. Compounds in raw cabbage have a positive effect on liver function because they increase liver detox enzymes. Scientists found that sauerkraut juice was especially effective in improving liver function. (15) Find out more about the amazing benefits of drinking cabbage juice. Kale. Scientists have found that the cruciferous vegetable kale contains liver-enhancing compounds. Trials involving rats showed that ingestion of kale boosted liver metabolism. However, researchers say that the amounts used were more than humans typically consume. (16) Learn about more reasons to include kale in your healthy diet. Consuming more tomatoes in your diet is a good way to increase antioxidant levels in the liver. Learn about more potent antioxidants that can boost your health and protect against disease. Coffee has surprising positive effects on preventing liver disease and in helping to increase detoxifying enzymes in the liver. If you are interested in learning more about the health benefits of coffee, please read this article. Another natural liver cleanse drink is green tea because it contains liver-protecting antioxidants. Find out more about the amazing benefits of drinking green tea every day and why Matcha green tea is even better for your health. Part of a liver healthy diet to cleanse your liver should include berries such as cranberries and blueberries. The antioxidant compound curcumin that is found in turmeric also acts as a natural liver detoxifying herb. Find out why turmeric is good, not just for your liver, but also for your general health, including helping to reduce pain. You can also find in my previous article how to increase turmeric absorption in the body to increase even more its health benefits. Another food that is good for liver repair and can be part of your healthy liver diet is ginseng. Other foods that also help your liver include vitamin C-rich fruits like lemons, limes, and grapefruits. Learn more about the many health benefits of consuming lemons every day. Increasing your consumption of nuts can have benefits to your liver health and improve liver function. Find out how many walnuts you need to eat daily to get the health benefits from them. Oily fish and omega-3 fatty acids are foods that can help cleanse the liver from a buildup of toxins. Omega-3 fatty acids are found in oily fish such as salmon, mackerel, and tuna. Taking omega-3 could have a positive impact on your liver health. Learn about the many more benefits of taking omega-3 supplements you can get for your health. Another liver healthy food that may help protect your liver by reducing inflammation is extra virgin olive oil. If you want to learn more about why you should use olive oil in your diet, please see my article on extra virgin olive oil benefits. Olive oil is also one of the ingredients in this 2 ingredient liver detox drink. It is important not to forget the importance of drinking enough fluids to help flush toxins from your liver. Water promotes liver health because water helps the liver to remove toxins. You can also create a liver detox juice by adding some lemon juice to water to help water detoxify the liver more efficiently. Get some delicious recipes to make your own healthy flavored water drinks to keep yourself healthy. To help cleanse your liver, it is important to include plenty of foods that are good for your liver. This helps to stimulate the liver to produce detoxification enzymes that help keep your liver healthy. Of course, it is also important not to overload your liver with toxins that can lead to fat accumulation in the liver and impair liver health. What are some of the worst foods for your liver? Drinking too many alcoholic drinks puts a lot of stress on your liver that can result in liver damage. Learn how too much alcohol can also damage your kidneys. If you want to keep your liver healthy and help prevent the effects of poor liver health, it’s important to stay away from fatty foods. If you want to increase the effectiveness of liver cleansing foods in your diet, you should cut back on sugar intake. Find out about the 10 signs that you are eating too much sugar. Having too much salt in your diet can undo the good effects of consuming liver-healthy foods. Further reading: If you are interested in detoxifying your body, you can find more useful information in my e-book The Detox Guide. This guide will teach you how to use detox to cleanse and energize your body naturally and safely.